Sukhothai Thai Restaurant is one of the several F&B establishments at The Media Hotel & Towers (formerly known as the Sheraton Media), which I have noticed but never got the chance to try dining at. From the outside, it looks like a fine dining restaurant, so I wanted to wait for the appropriate occasion. Just before New Year's Eve last year, the occasion presented itself and there was Thai Mango Promotion ongoing, I've always loved mangoes, so it could not have been a better timing. 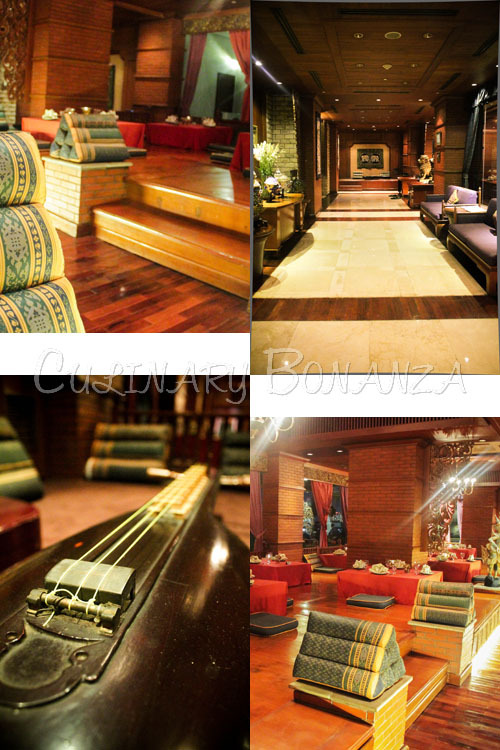 Besides, we went to experience the Unlimited Royal Treat package, which entitles diners to order as much as they want off the provided menu for a very reasonable price of IDR 149,999/pax nett, drinks are charged separately. 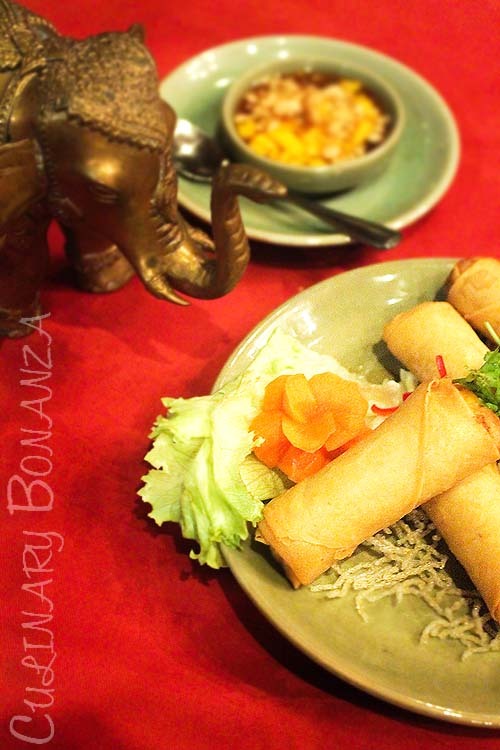 We started with this delightful fried spring roll with mango and minced chicken filling, served with mango chutney. This appetizer was well done and the combination of mango with chicken actually worked! 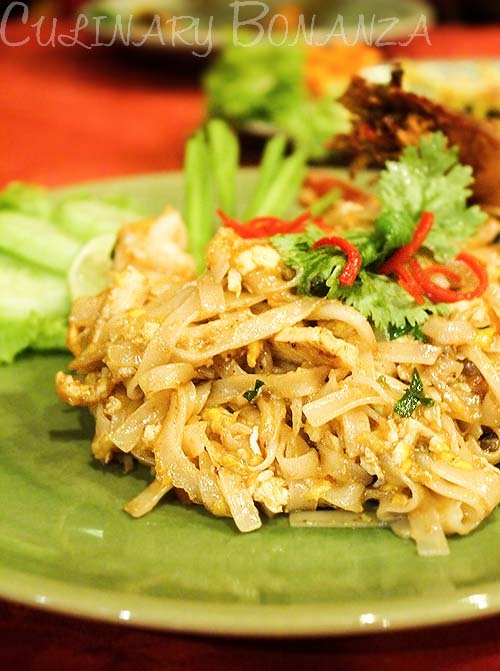 Fried marinated fish with lemongrass and herbs. 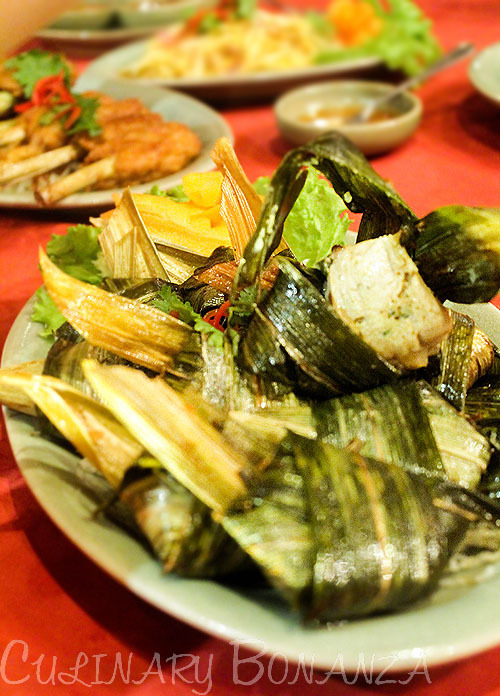 The look and the taste reminds me of our Balinese Sate Lilit, but the Pla Takrai is fried instead of grilled. And we ALL loved the spicy mango salad, which was refreshing sweet, sour and boldly spicy, so much so, that the end of the meal, nothing was left! Green curry with Stewed chicken. 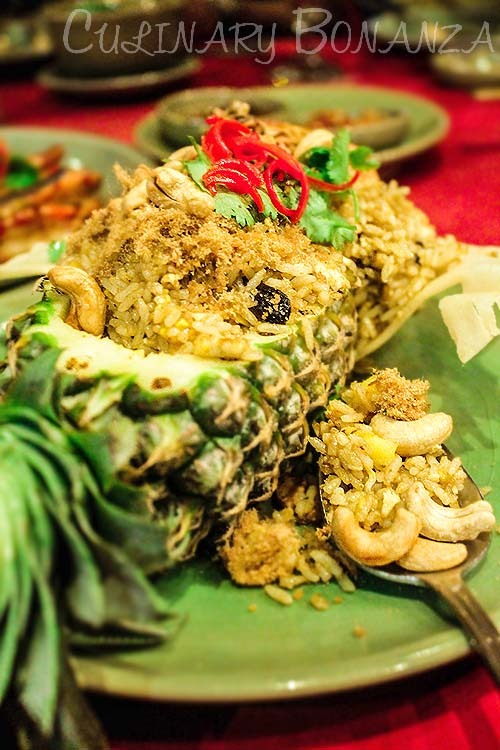 You might think that pineapple is considered a passé ingredient in Thai cooking, what about mangoes? 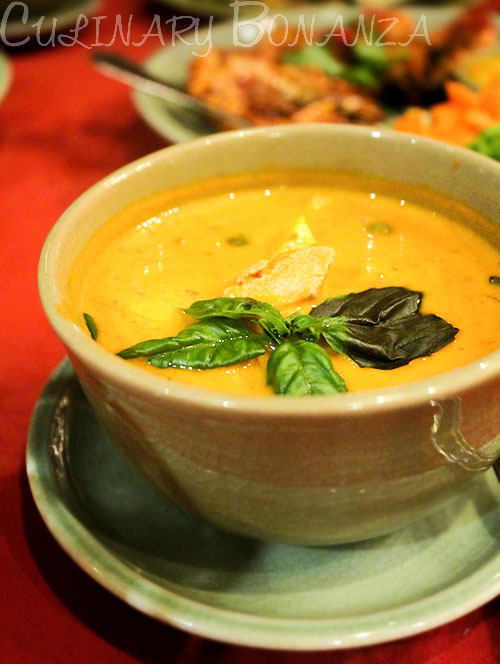 Imagine digging into golden and succulent chunks of mamuang (it's the Thai word for mango) in your spicy green curry. It might not normally come across as appealing, but the combination actually tasted good and I realize that I was actually busy digging for the mangoes instead of the stewed chicken! 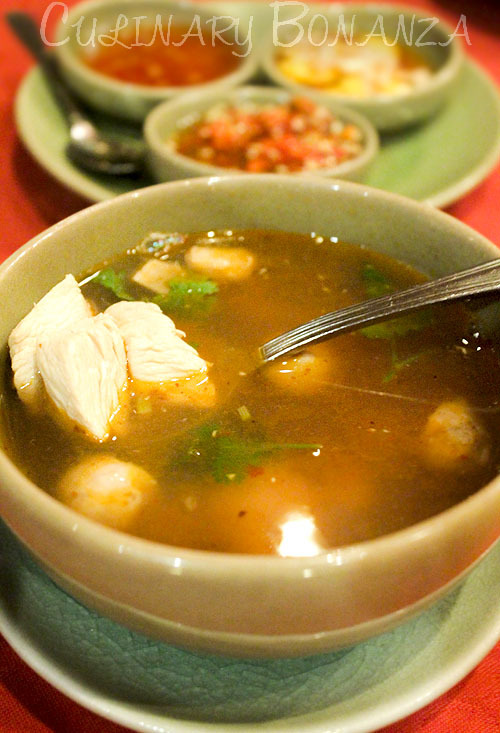 Spicy and sour soup with chicken. Don't be tricked by the clear brown broth, the broth is quite hot, but the seafood broth was even hotter! 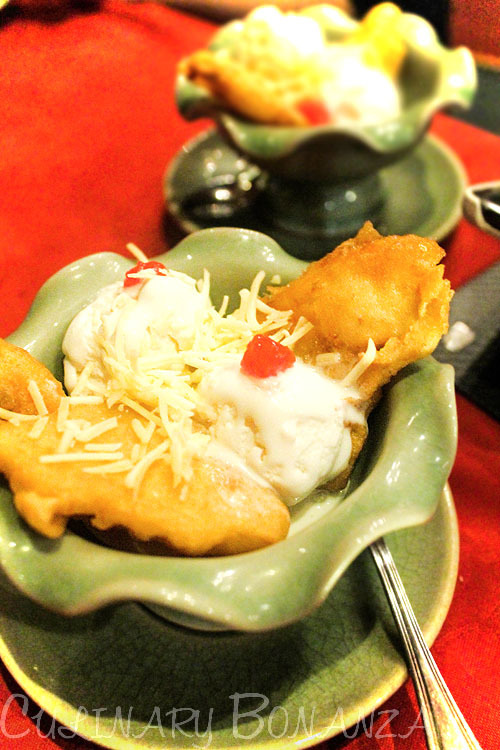 Fried flour-battered mango with coconut ice cream. Who would've thought about frying mangoes? 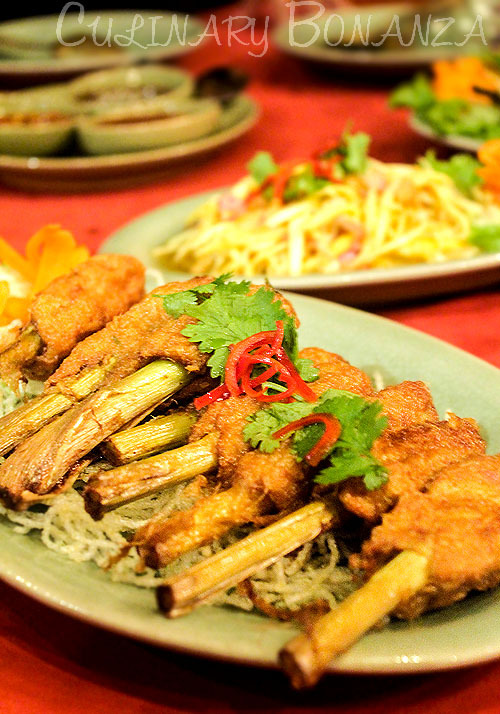 The Chef at Sukhothai did! Although the fragrant mango scent was sort of dulled from the frying process, it combines well with the smooth coconut ice cream. 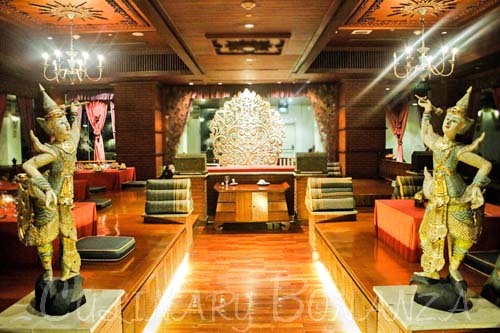 While the Thai Mango promotion might be over, you can still come to Sukhothai for the Unlimited Royal Treat package, which is a very good deal, all factors considered. Whoa to the deep fried mango! Is the mango firm or sloppy?